Is your child struggling in school but every time you meet with a teacher or counselor, they offer platitudes but not much else? Unfortunately, the school administration’s’ hands may be tied by limited funding or other restrictions; the school may clearly see the need to help your child, but they may not be able to do so without a bit of assistance. This is where the IEP comes in. The IEP (Individualized Education Plan) is one of the biggest benefits for public schooling that hardly anyone knows about. Essentially, this is a document that tells the school system your child has a learning disability, describes limitations and needs, and maps out how the teacher and support staff will ensure your child’s learning needs are being met so they can be successful in school. An IEP can help with any manner of learning disabilities; it covers everything from test anxiety to vision or hearing impairment and everything in between. 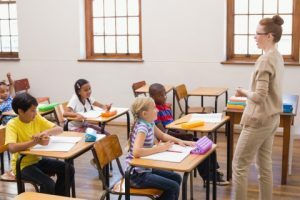 The IEP ensures your child’s needs are being met by describing instances when they may not be able to participate but, more importantly, offers a plan to modify lessons so your child can fully engage in every lesson with the rest of the class. The IEP works rather like a legal document. Without one, there is no guarantee the school has the resources to help every child’s individual needs, as much as they may wish. With an IEP in place, the school is required to make accommodations for your child according to state regulations. If you think your child could benefit from an IEP, you will need to first obtain an evaluation to demonstrate that your child’s educational needs are not being met without accommodation. Your child’s school can order an evaluation to determine whether your child qualifies for special education services. 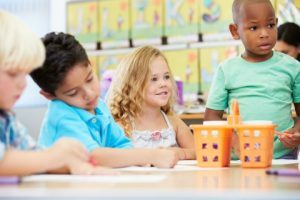 At Dr. Angela Reiter and Associates in Eastchester, we offer learning disability testing and will continue to work with you and your child, their teachers, and the school to review the evaluation and develop the Individualized Education Plan that will best help your child. Call us today to get started!